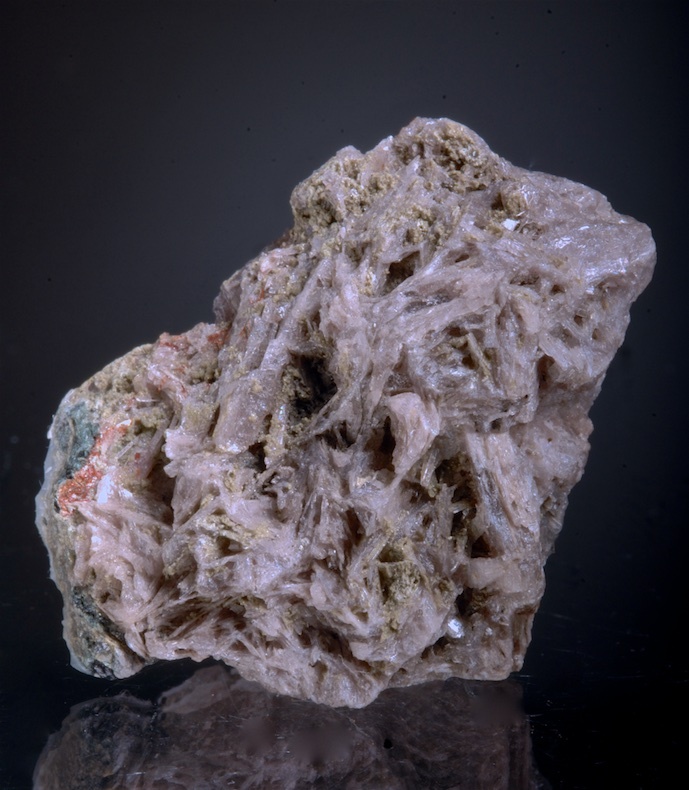 Delicate rosette of sharp Barite crystals from the Cave in Rock Fluorite region of Southern Illinois. Translucent sharp blades are up to 1.8 CM there is some edge transparency and zoning. In unusually fine condition, all the main crystals are complete and undamaged. Ex Larry White collection. Surprisingly few good Barites of any size were collected at the time the mines were working. This is a choice and affordable example. 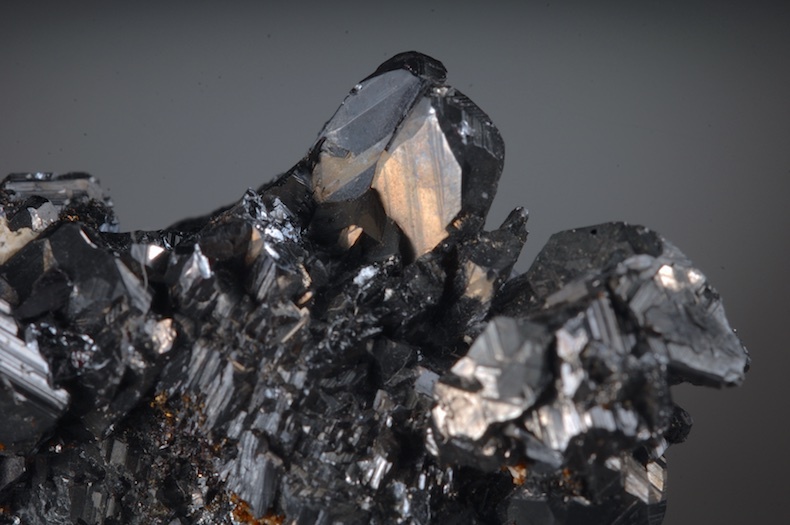 A sharp and distinct pair of Rutile crystals are penetration twinned on matrix. An older Graves Mt. specimen, the red color and satin luster are very fine for the locale. Textbook forms and a nice display specimen, the front side seen on display is perfectly damage free but the underside and one edge (out of sight) have contacts. Choice. 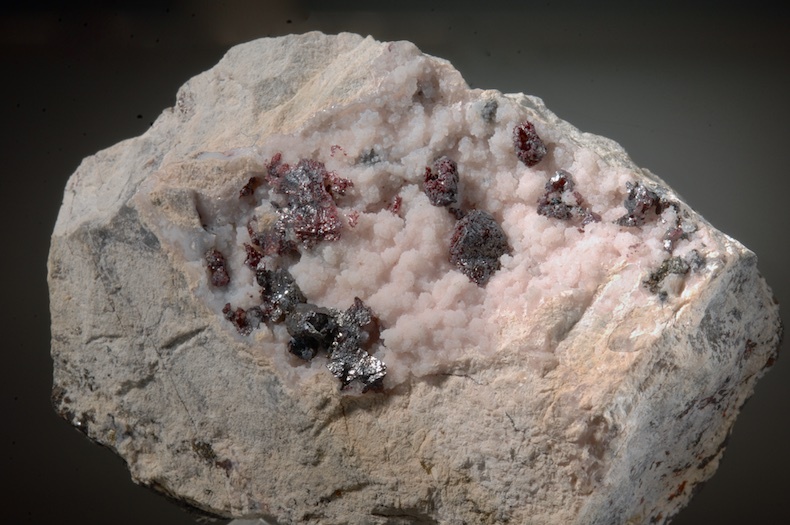 Pyrargyrite crystals in small clusters and individuals are scattered on a pink Manganoan Calcite matrix. Individual crystals are up to 7MM. Some of the edge crystals have some chipping but the center portion is pristine. A few of the small clusters have the "raspberry" form and are hollow crystal aggregates best appreciated with magnification. A nice ruby Silver specimen that has a nice colored micro crystalline matrix as a contrast. Super thumbnail of gem Tourmailne with the steep termination from the world famed Dunton pocket at Newry. A classic US Elbaite with sharp form, bright luster and 100 percent gemmy clear. A small Quartz crystal adds a nice accent, the crystal is also dichroic and damage free. One of the most significant tourmaline discoveries of all time, the Dunton Quarry pocket is legendary. 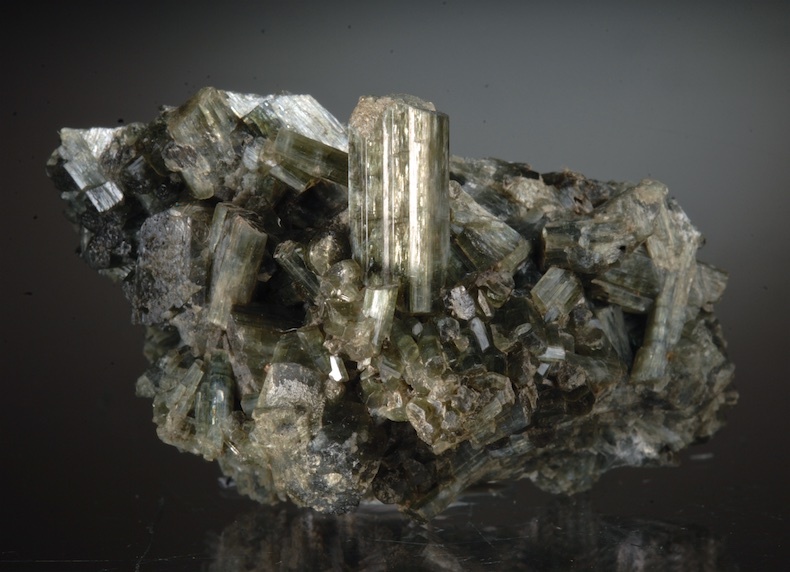 The steep terminations on some green crystals like this were unusually distinctive. These have become quite scare in this quality. Classic old Pitcher Field (Tri State District) Galena. 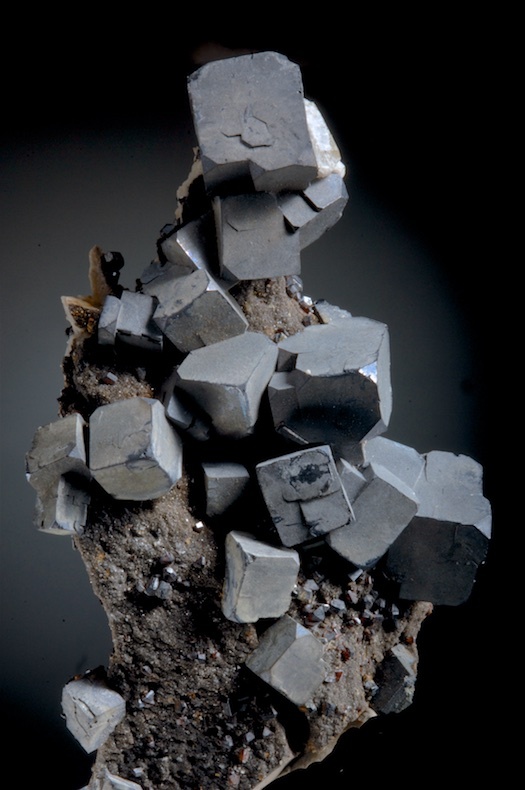 An esthetic cluster of grey patina cubes with modified corners on a drusy Sphalerite covering the Chert matrix. 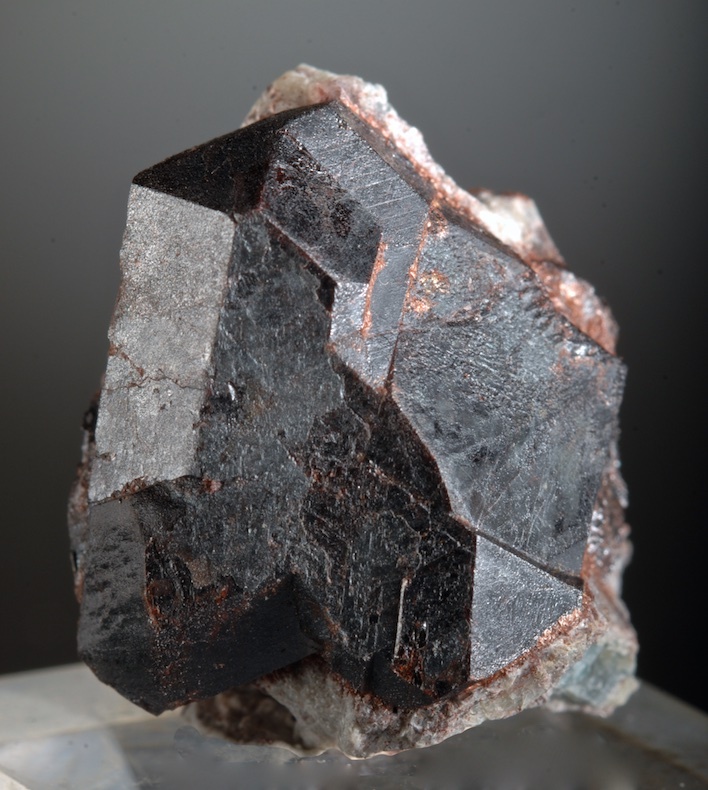 In excellent condition, the Galena arrangement is very three dimensional and the cube at the top on the tower is 2 CM in diameter. The backside of the matrix is covered with larger Sphalerites some of which are red and lustrous. The Tri state area was an incredibly productive zone into the early 1960 period when it shut down. At the time these specimens were plentiful (although better pieces were always much less common). Today these are all long gone and good esthetic material is quite rare. Far better in person, this is not at all average. 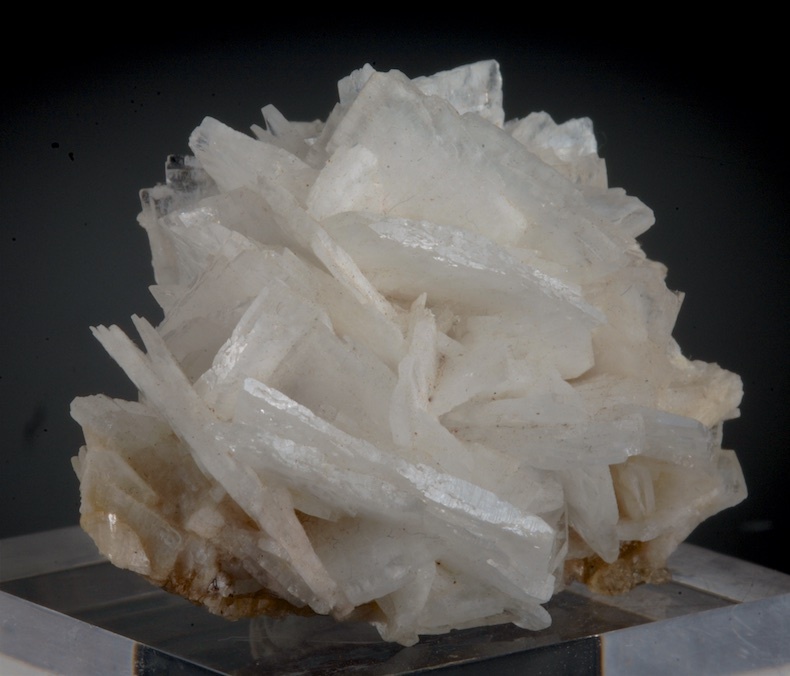 Nearly pure, this is almost all Diaspore crystals with a small area of Amesite matrix, a classic Chester Emery Mine specimen with good lilac color. Typical tightly bundled crystals that have showing over 2 CM across. A single red Rutile needle is also present, Choice condition the Diaspore of this mine were for a time the best known in the world and were very sought after. Later finds eclipsed these but the Chester habit is still unique and it is the type locale for Amesite. A nice specimen that is better than just a locality piece, classic and choice. 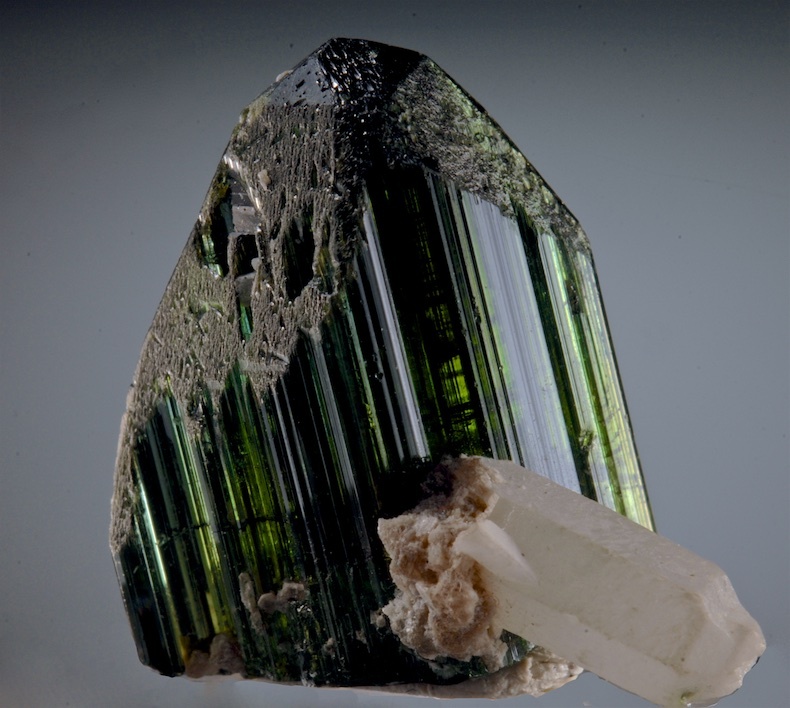 Sharp, glassy, with catseye effect luster and very well formed, a pure mass of Tremolite crystals. From the now classic Pierrepont locality in St Lawrence county New York, this has fine deep olive green color and is in excellent condition. Collected more 40 years ago by S. Alverson, the chantoyance or catseye effect is striking in person.